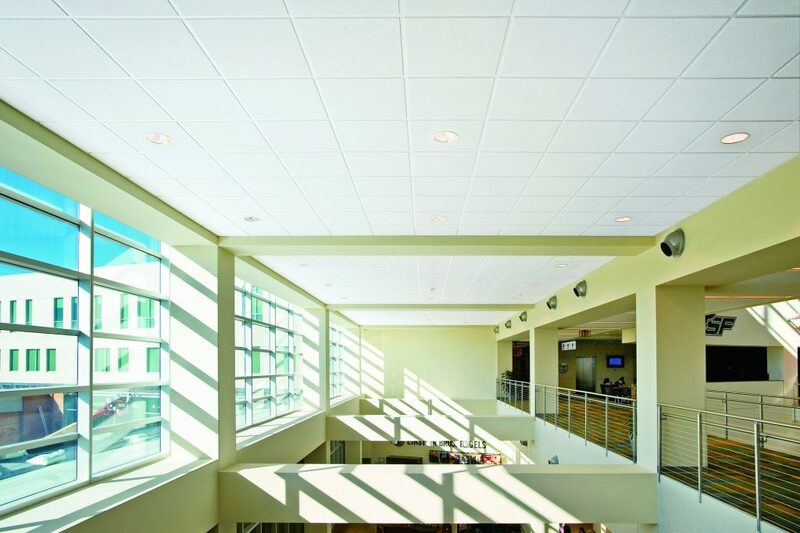 Armstrong® Ceiling Solutions has added its Dune™ and Mesa™ lines of acoustical ceiling panels to its portfolio of Sustain® Ceiling Systems. Armstrong high-performance ceiling and suspension system products meet the industry’s most stringent sustainability compliance standards. By offering a broad collection of sustainable ceiling solutions, Armstrong makes it simple for architects and designers to find and specify ceiling products that have the environmental characteristics and documentation needed to comply with leading green building rating systems, including LEED® v4, the Living Building Challenge™, and the WELL Building Standard™. All products with the Sustain icon can be found in Mindful MATERIALS, a platform for architects and designers to source building products and their transparency documentation. To meet transparency requirements, all ceiling products in the Sustain portfolio have environmental product declarations and health product declarations. Sustain ceiling products also comply with the low-emissions standards of the California Department of Public Health. All products in the Sustain portfolio also feature a Declare™ label.